When you listen to his notebook being read it does not sound insane at all....it sounds very narcissistic! @LG, I don't even know what to think or imagine what the courtroom will be like today. Is there a way to get a live feed outside the Courthouse? Thanks to @7news for a great job! It's not said enough, thank you 7News for all of the extraordinary dedication and hard work! You've all done such a phenomenal job. Well, one thing is for sure... As soon as the trial is over and the courtroom is free, someone is going to need to oil that chair JH has been wearing the bearings out of, or just throw it out along with Mr. King. Im here. Holy Moly that was quick. Looks like we got about an hour and 25 minutes before the verdict is read. I bet JH will be emotionally flat like he was throughout the trial when they read the verdict. Moreover-I'll miss everyone when this is over. Phil--I love your ties. Anica-I love the way you moderate the chat room! Best to all! I need to log on to my computer? Oops I typed my comment in the name field. Will the verdict be live on TV or only online? I'd read several places that Colorado is noted for quick verdicts...one way or the other, I'm impressed. lol @ Tired: "Don't worry everyone, I'm here"
I voted that he'll be found guilty but I would have voted Not Guilty by Reason of Insanity. Need a 5 minute interview with a legal Beagle Phil! C'mon want to hear what one of them thinks with the quick Verdict. Hey All, would someone please remind me if same jury or different jury decides penalty if the verdict is guilty? @NT8 - Agreed. Would love to hear a legal perspective of the quick turn around. LOL@Loz. Samour actually, knew that I was travelling so he made it a 3 hour wait before reading the verdict. Tammy G--I hope so. Not that I want to hear the heart wrinching stories from the family victims but so that JH hears how he hass negatively affected all those people. I want him to think about that on death row for a few years. But thats just me. Has anyone heard anything about jward/baby? Don't think that would make a difference, Tired. If he was that indifferent before, not sure it will penetrate now. Not Gur. She needs to be slapped! She is awful! D7, if the same jury will do the sentencing, will the alternates rejoin them for the sentencing phase in case of of them must be dismissed? C'mon Phil! Give us an interview with a legal Beagle opinion before the verdict reading! Ditto, what BV said. I'm going to miss everyone, but I'm also relieved that this milestone has arrived. 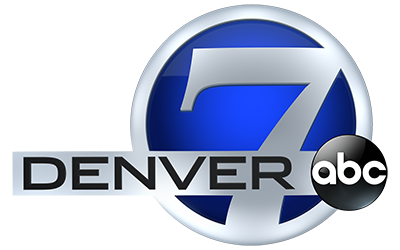 I add my thanks to ABC Denver for their coverage and patient moderation of the chatroom. I think I'm going to have to turn my sound down when they replay Dr. Gur. @Phil...thanks. I would be saying a rosery right now if I were them. Praying that I made the right and just choice. To all the 7NEWS folks....my deep appreciation. You guys have done a marvelous job covering this trial up to this point. 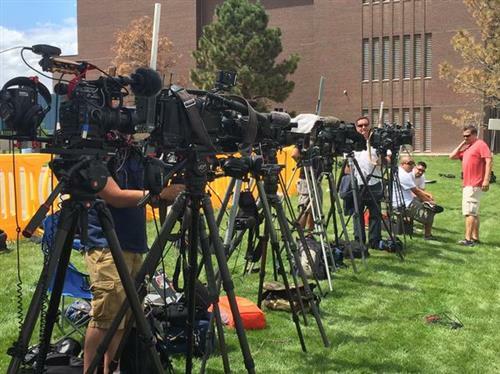 Will you all continue live coverage like this if it extends into a sentencing phase?